A survey carried out by 4G network EE revealed that 21% of British small businesses employees plan to use a phablet at work with a staggering 10% saying that they wouldn't mind using one to carry out all their work tasks on a day-to-day basis. 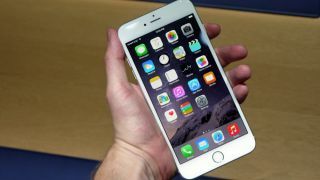 More than 1000 small businesses were surveyed for the research and the recent launch of the Samsung Galaxy Note 4 and Apple's first large-screen smartphone, the Apple iPhone 6 Plus shows that there is a definite appetite in the market for big displays. Mike Tomlinson, Director of Small Business at EE, went as far as saying that "they are on the verge of becoming an indispensable business tool". Samsung pioneered the format with the original Galaxy Note and introduced some nifty features like a smart stylus. While so-called phablets have very high resolutions, whether or not they can be used without additional accessories or peripherals remains to be seen. Typing entire reports on a 5.5-inch screen wouldn't by any stretch be considered as stroll in the park. Instead, one can expect a flurry of products aimed at the ultra mobile worker to emerge over the next few months, all geared towards transforming your humble mobile into a proper workstation monster.